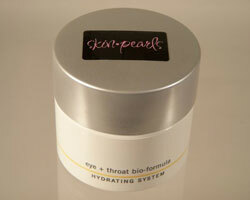 A super emollient cream containing advance bio-extracts known for their hydrating properties. Helps diminish the appearance of fine lines caused by premature again. Gently smooth cream on the d�collet�, throat and eye regions. Let completely absorb before applying makeup. For use morning and evening after cleansing and toning.